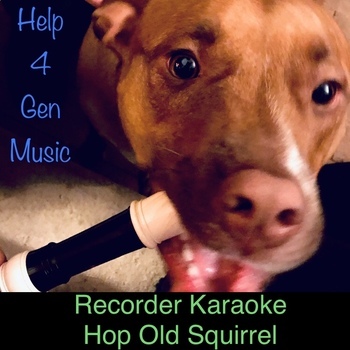 Help4GenMusic's Recorder Karaoke - Hop Old Squirrel with Funk-Raggae Band! Help4GenMusic's signature Recorder Karaoke series brings you another awesome track with this funky and slightly Carribbean-tinged play-a-long audio track of Hop Old Squirrel. click the second thumbnail image above for a 'video' demo to hear an audio excerpt! the printed music of this song is a available as aFREE download from Help4GenMusic. Click here.